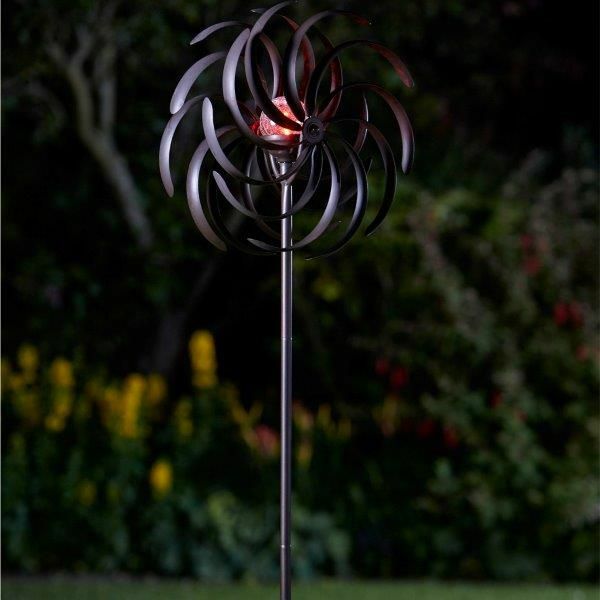 Add colour and motion to your outdoor space with this solar powered Spiro Wind Spinner. With a colour changing LED centre crackle ball, it features double sided cupped wind catchers. The solar light will automatically turn on at dusk after charging throughout the day. With double ground spikes and a sturdy metal stem, this magical spinner will stay in place as well as creating a focal point by day and night. Rust finish.